Cheers to 19 Years at Sage Farm Antiques! 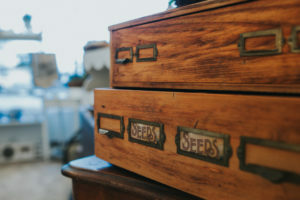 Gearing up for its 19th season, Sage Farm Antiques Founder Sharyl Murphy shares the inside skinny on her unique Seacoast antiques business (which we absolutely adore…). How long have you been running Sage Farm Antiques? I first began selling antique and vintage wares at a store in Dover I started called Peddler’s Wagon. I started Sage Farm Antiques in September 2001, and this April marks the start of our 19th season! How did Sage Farm Antiques begin? I was inspired by an article in Victoria Magazine that profiled a shop in Minnesota that opened only once a month, for three days at a time. This business model was proving successful for them, so I called the shop, and spoke with the owner to learn more. The woman was very gracious and talked with me for close to an hour. I decided to give her business model a try. For the first time in eight years we were closed this past winter, so we are EXTRA excited to open our doors and begin our new season! We think guests will be pleased with the vintage wares, antiques, new home decor, and artisan items our dealers will display. 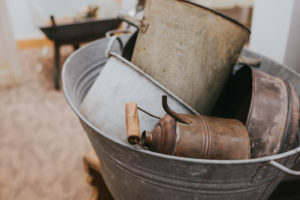 What are some items typically found at Sage Farm Antiques? We always have furniture and home decor at every show we host. 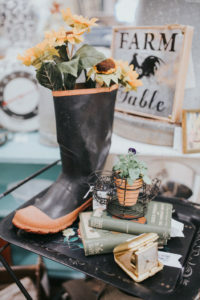 Since spring and gardening season is fast approaching, we will feature functional and decorative garden-related items at our April and May shows. Our June and July shows will focus on beachy whites and coastal items. Do the goods at Sage Farm generally follow a certain style? 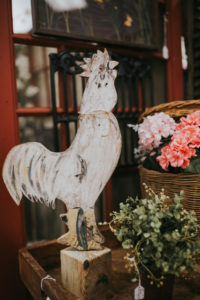 One of the neat things about Sage Farm is that we offer a variety of items from different time periods that appeal to everyone’s style—from relaxed beach cottage and fancy Victorian charm to everything in between! Each of our dealers has a unique aesthetic and personal style, and 20% of them change every month. What are you most excited about for the 2019 season? We are thrilled to return to Cisco Brewers Portsmouth for our 2019 “Junque Jam” show on September 20-22, when we’ll feature 100 different vendors, music, food, and lots of fun! This year we will also carry all colors of Fusion Mineral Paint and accessories for the product! We’re thrilled to share this paint line with our customers, and look forward to offering workshops throughout the year on ways to use Fusion products—stay tuned! 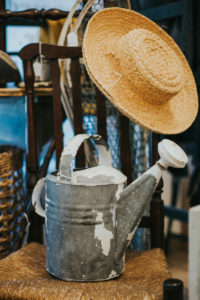 What do you enjoy most about Sage Farm Antiques? We feel fortunate to have enjoyed 19 very fulfilling years of running a unique shop that’s offered two things—quality wares at fair prices, and the opportunity for small business owners (our vendors), to be successful, happy, and pay their bills, while doing what they love. Shop local and you really do support the small guy! Is there anything else you would like to share, Sharyl? Yes! We have another shop in Wells, Maine called Cattail Farm Antiques that is open seven days a week from Memorial Day through December, and three days a week from January through Memorial Day! We feel blessed to own a business that allows us to meet so many wonderful people while doing what we love. As the business changes, we evolve and change with it so we can keep making our customers happy. We help people tell their story—we make houses, homes. Thank you for sharing your story with us, Sharyl. Here’s to an amazing new season at Sage Farm Antiques! Photos by Erica Cole Photography.